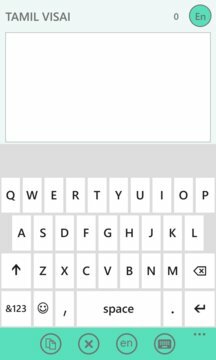 It is a Tamil typing keyboard application. Copy the typed text to the clipboard and use it anywhere. Please check the Help for English to Tamil character mappings. We will add more words in the next versions.